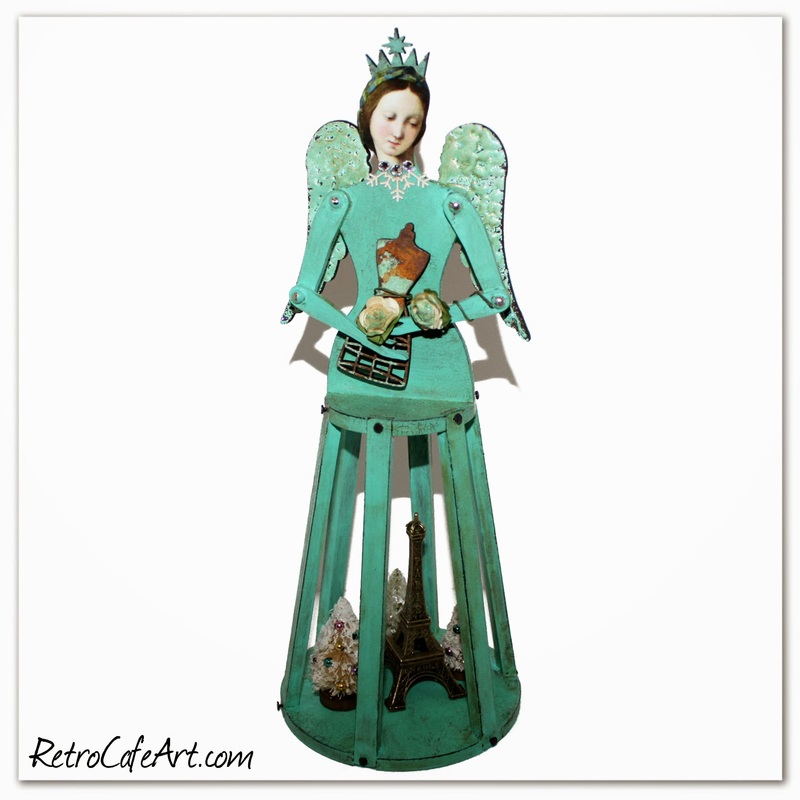 Santos Cage Doll Shrine Kits + a FREE GIFT! Several of you have been asking me for Santos Cage Dolls for a while now and last Sunday I decided to go for it! 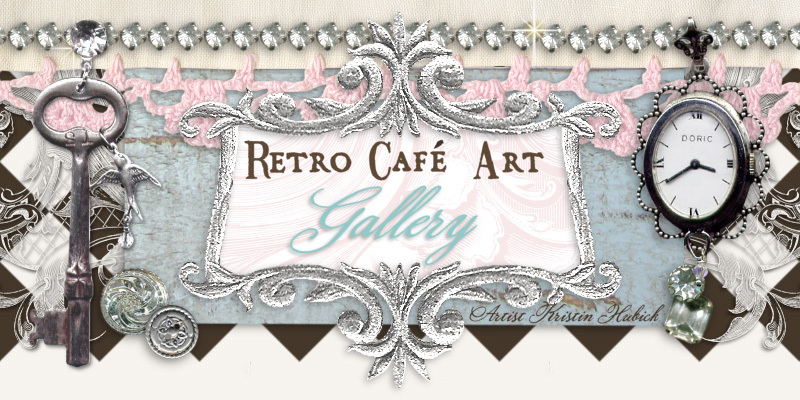 Santos Cage Dolls have been popular in the mixed media world for some time now, so I'm super excited to bring you some, Retro Café Art Gallery style! I modeled my dolls after traditional Santos Cage Dolls and our fantastic articulated doll style worked perfectly for them! We also have several yummy new colors of Inka Gold in stock, just in time for Valentine's Day! 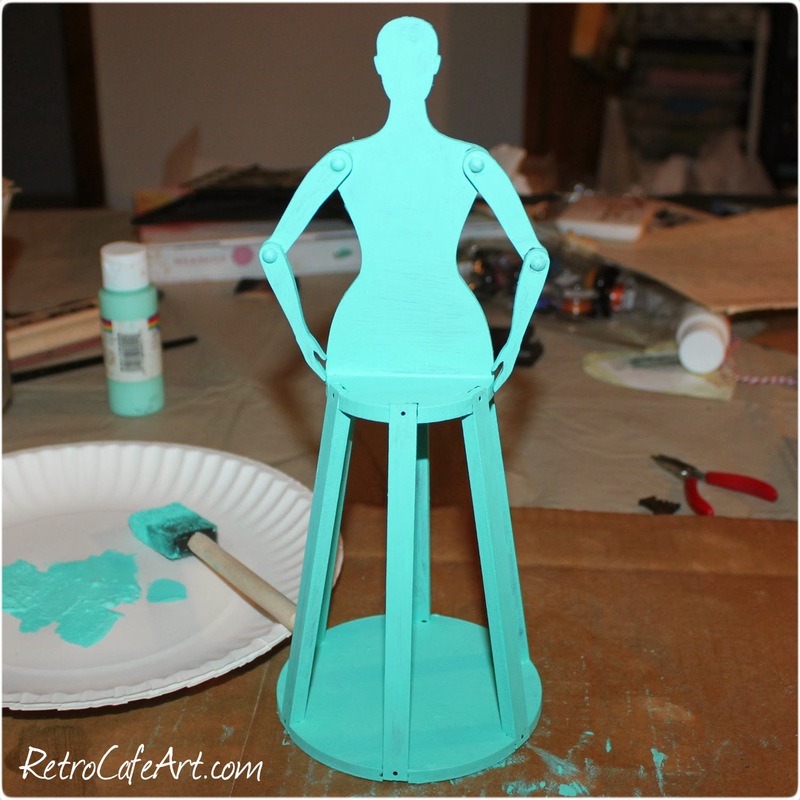 I decided to play with one of our Medium 3-D dolls, which is quite large standing at 10-1/2" tall! The fun bits inside her cage are not glued down. I figured I might want to change them out now and then! 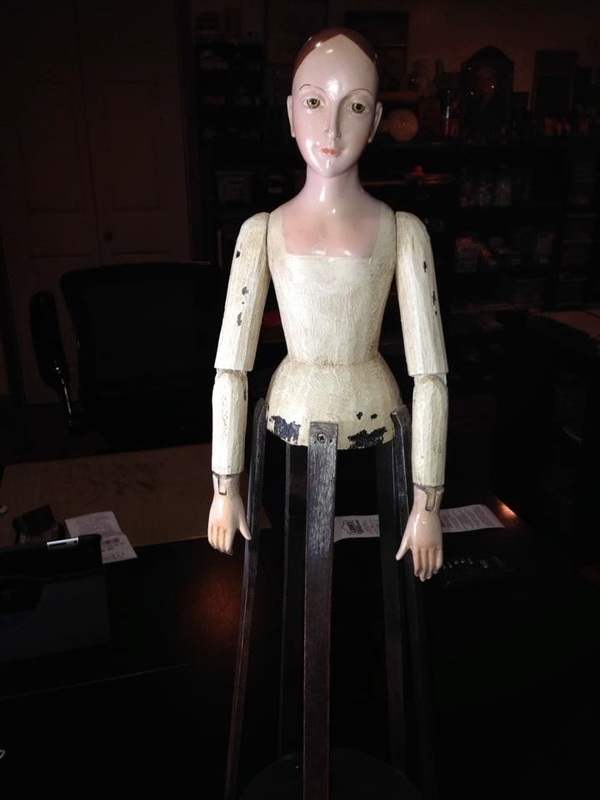 I named her Joan, after Joan of Arc, a patron saint of France! For those of you who don't know, "Santos" is the Spanish word for saint. 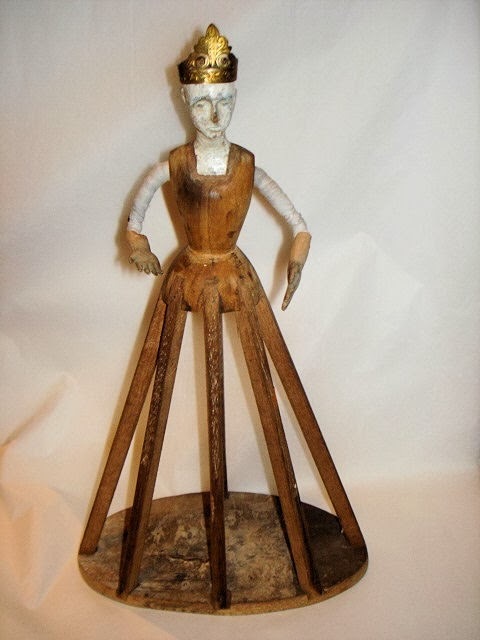 Starting in the 17th century, Santos Cage Dolls were commonly used as altars or shrines inside homes. I can't wait to play with more. Normally, I alter my pieces before putting them together. However this time I worked after the doll was already assembled and it worked out great. After a few coats of acrylic paint, I used a two step crackle, then aged her. I wanted her to look antique! I think my favorite part about the doll are the tacks (included in the 3-D kits!). I wanted to share a few more Santos Doll photos with you. 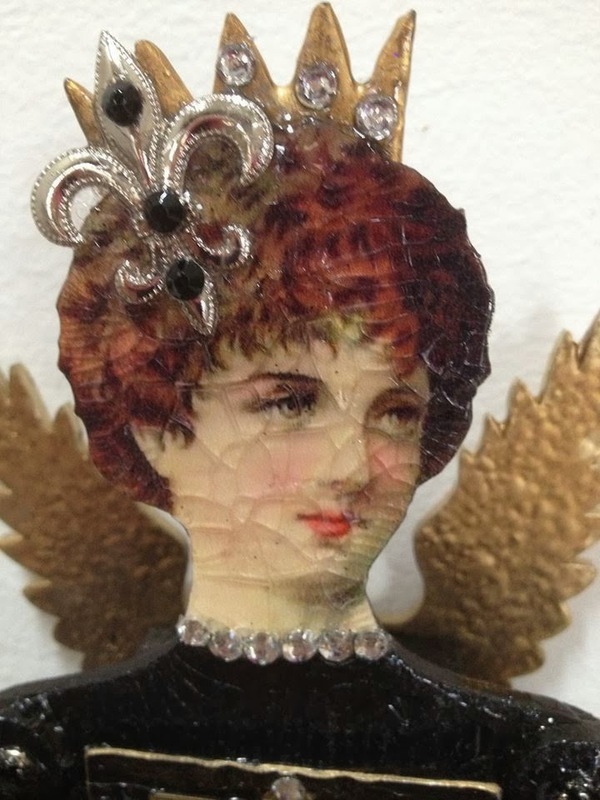 This cool antique doll above will only cost you around $3,400! And a reproduction (below) will run you between $100-$300 dollars. Well, now you can make your own! I can't wait to see what everyone comes up with! Our Large 3-D Doll stands an impressive 16" tall! 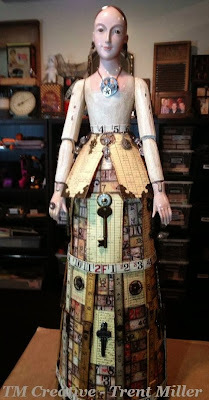 I just had to share this awesome altered Santos Doll created by Artist Trent Miller! 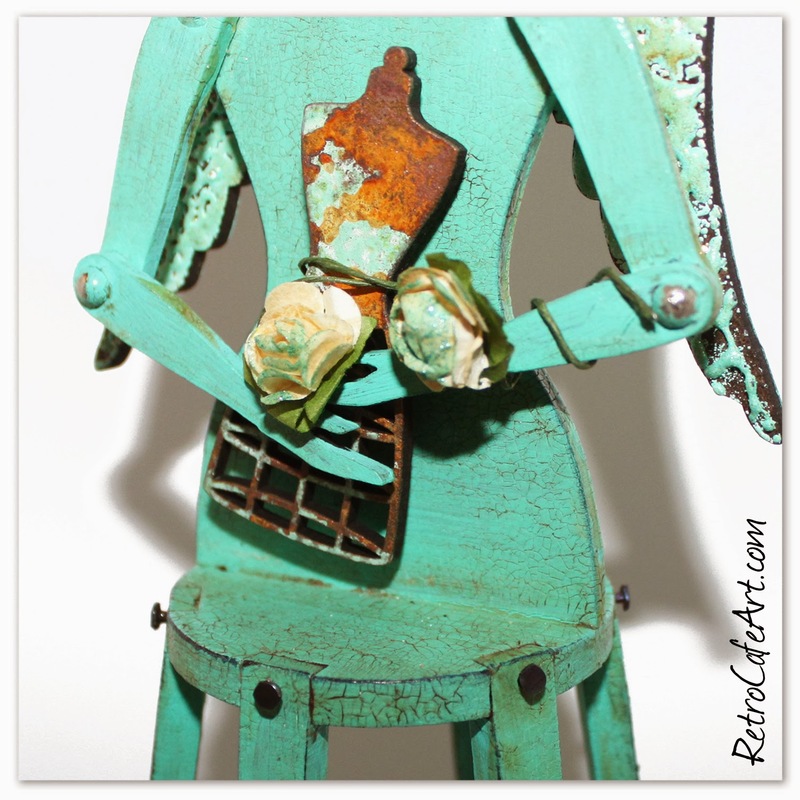 Trent has participated in some RCAG swaps and we love his work! 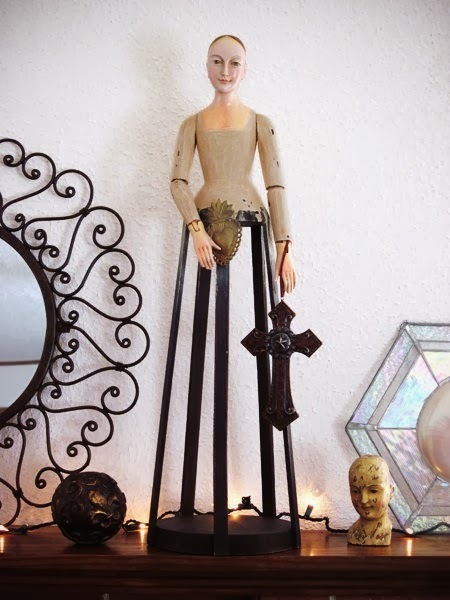 And I adore what he did with this Santos Doll. As you can see, he started with a reproduction Santos Cage Doll and from there he worked his magic. You can read more about this doll HERE on Trent's blog! Scroll down for some more fantastic photos. Thanks or the Santos inspiration Trent! Happy Weekend Everyone! We have some awesome new goodies in the shop including my favorite, Steampunk Hearts! 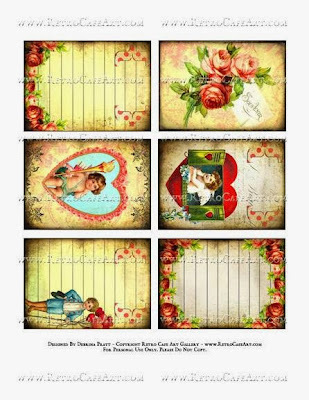 We also have some new Valentine Stencils, Stand Up Cupids, Paper Pads, Washi Tapes, and lots more. Christmas is almost here, so shop now so you have some pretties to play with after it's over! 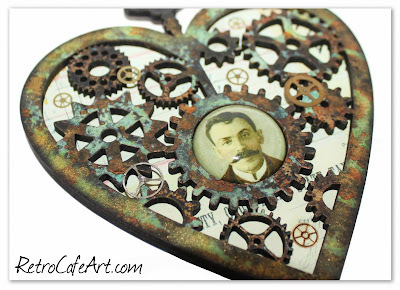 Of course the goodie I wanted to play with most was the Steampunk Heart Ornament (also my favorite product to design)! It was very easy and fun to make. First I used VerDay Paints on the front frame. I wanted a lighter color on the base so I used Collage Sheet CV56 (love for backgrounds). Using a 1" clear cabochon I attached an image from the Time Travelers Collage Sheet using Diamond Glaze. 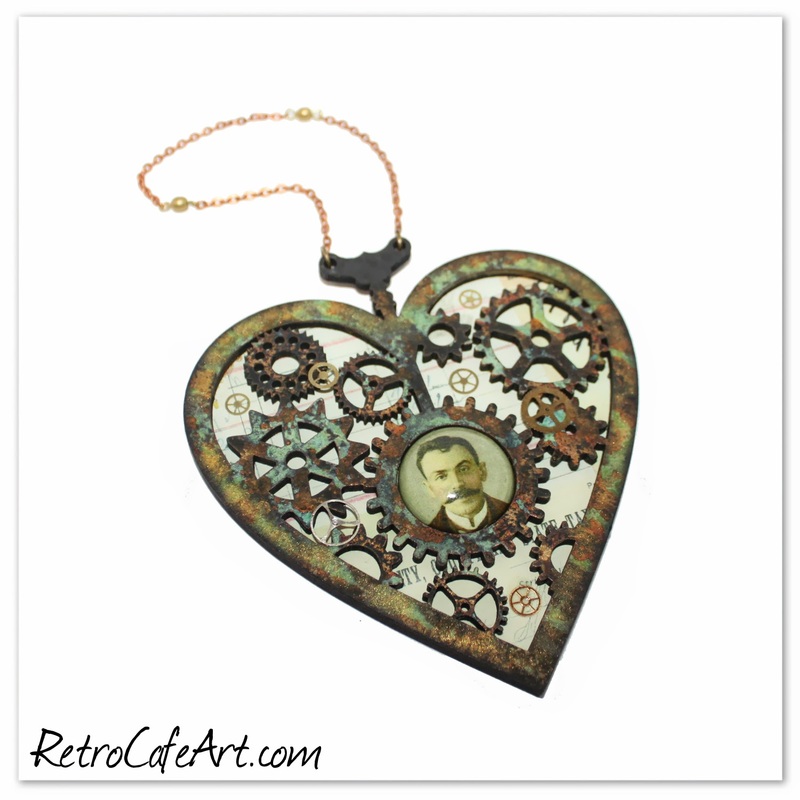 I attached my two heart pieces, added my cabochon to the frame, and then attached some watch parts here and there also using Diamond Glaze. I added some Twinkling H20s around the frame for shimmer, and finally attached some chain to the the "clock key" using jump rings. I love how the ornament has a built in hanger! The finished piece almost looks like a cool pocket watch too! Super easy and I loved the result. So many possibilities with this ornament. 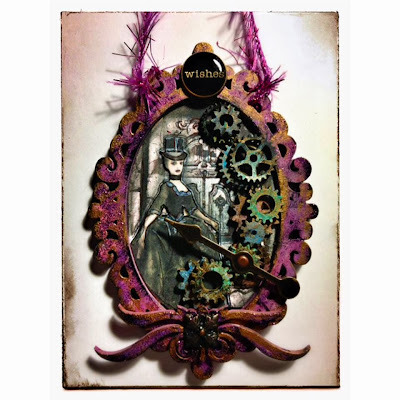 Here is another awesome Steampunk Ornament by Design Team Member Amy Nieman! Isn't it stunning? 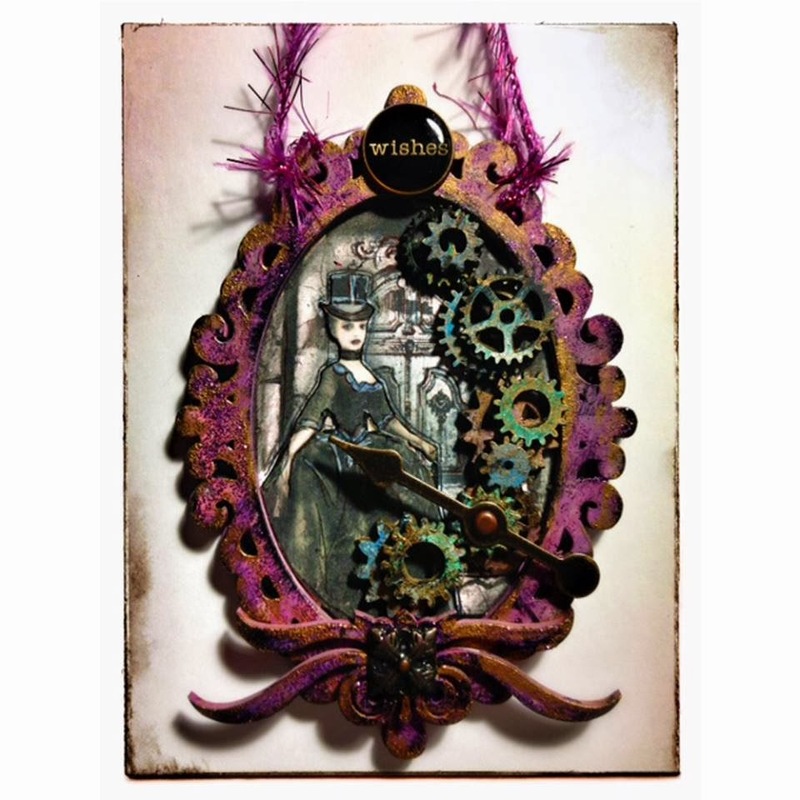 I adore the colors she used and the way she utilized our Flourish Cut Outs and Gears. Just fabulous Amy! 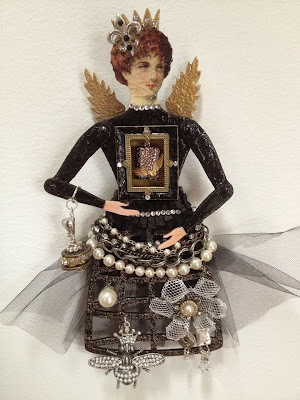 Last June our Inspiration Fairy Shrine Swap was so much fun. And several of you asked if we would do it again. So now we have these brand new heart-shaped sweeties that will be just as much fun if not more! Now is your chance to jump in! I can't tell you how many people say "I wish I had joined this swap" once they start to see the samples on Facebook. After it's too late. Don't wait! Jump in NOW! They aren't due until February 24th, so no excuses :). I made my heart backgrounds using the included Cardstock Paper Cut, Gelatos, Twinkling H20s, and a water brush! Simply randomly doodle with the Gelatos and then blend with the water brush. 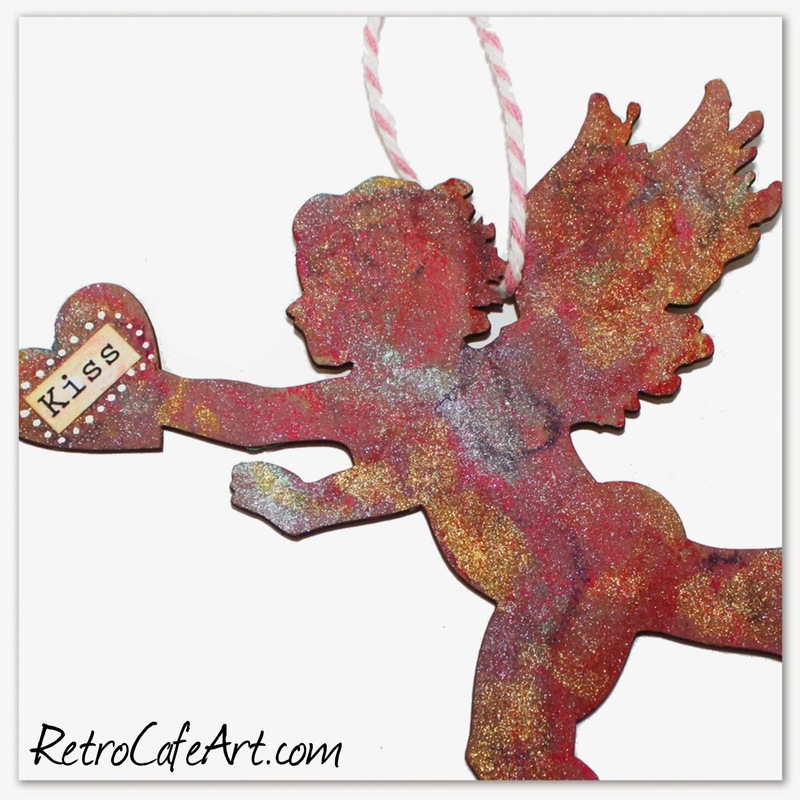 Stamp with a rubber stamp, add some Twinkling H20s, and done! I'm loving Gelatos and Twinkling H20s together. My new favorite pair! The entire Christmas section is ON SALE! Grab these great deals while you can! 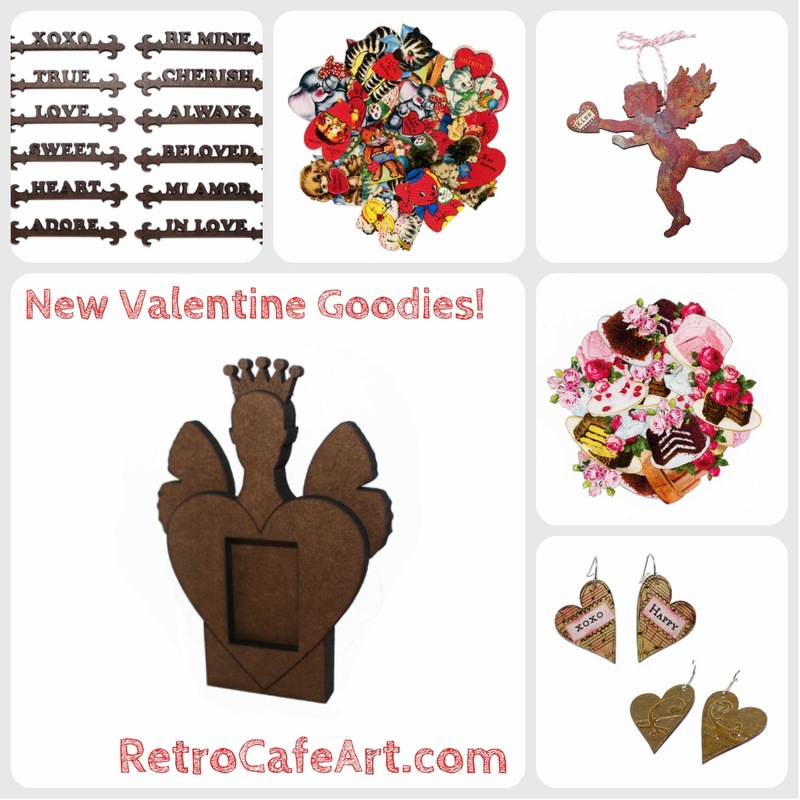 HINT: Some of the goodies could EASILY be used for Valentine's Day or any day :). Find it all HERE. Need a last minute gift for a creative friend? Or for yourself? 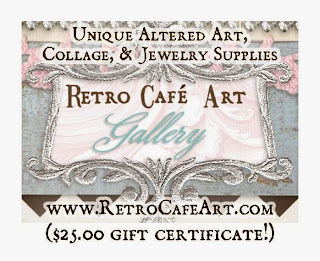 Retro Café Art Gallery Gift Certificates are the perfect solution. You can find there HERE. Orders placed Saturday and Sunday will ship Monday. Orders placed after the weekend will be packed on Thursday and will ship Thursday or Friday. Happy shopping and Happy Holidays to you and yours! New Sweetheart Fairy Shrine Swap, Valentine Goodies, and more! Happy Weekend Everyone! 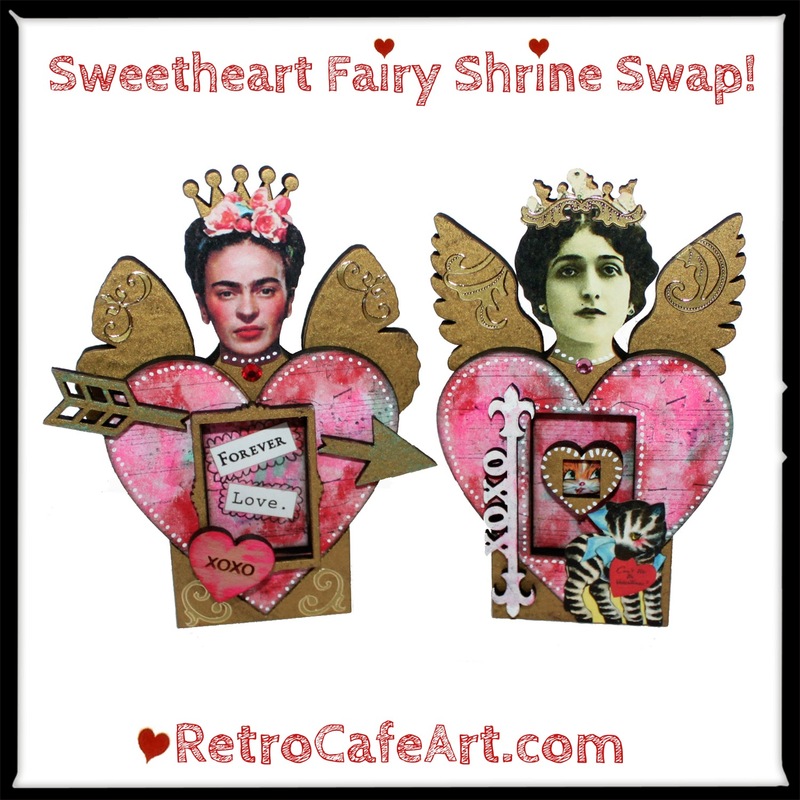 We have some sweet new goodies in the shop including Sweet Heart Fairy Shrine Kits, new Paper Cut Sets, Cut Outs, Gelatos, and so much more. OH, and a new ART SWAP. More below! Gelatos are also AMAZING on Chipboard! To make my cupid again I simply doodled with the Gelatos straight from the tube and then blended with mywater brush. Once dry I added Sunflower Twinkling H20s! Even more shimmery in person! I was thrilled with the results and it took under 5 minutes! Coffee break design has been making and selling our Clear Acrylic charms since 2004 and I'm excited to bring you two new sets! CBD even designed some custom charms for Mr. Tim before Fragments were even born! While our Clear Charms aren't new (except for the two brand new Heart sets) what IS new is that on ALL of our sets you can now get them with or WITHOUT charm holes! We know you love options! Now the sky is the limit. They are all on sale too! 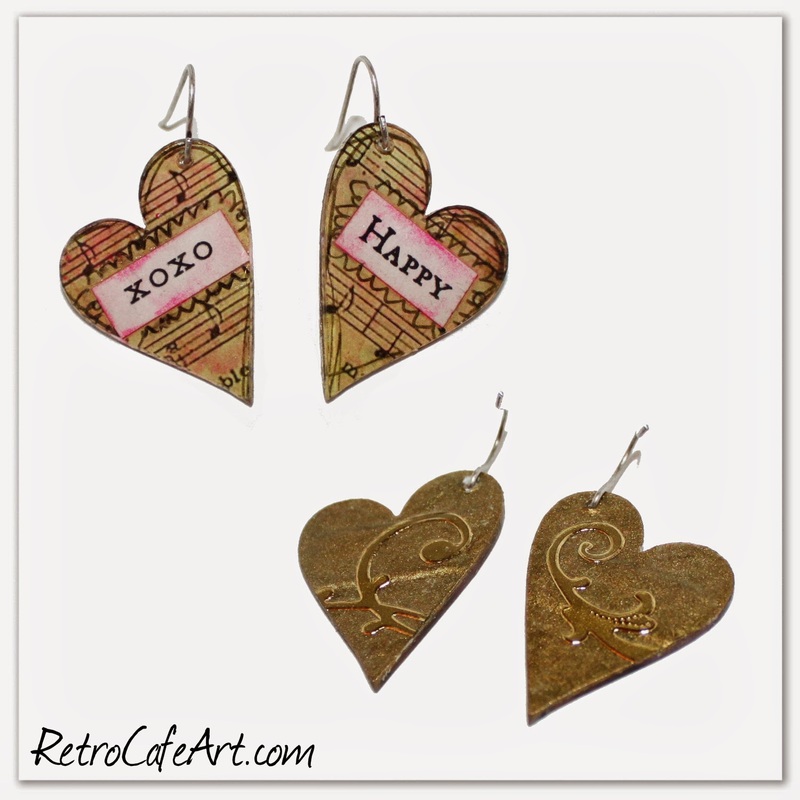 I had a blast making these earrings using our new Acrylic Hearts. For some inspiration, you can check out our Acrylic Tag Tutorial HERE. It's an oldie, but a goodie! To finish the backs of my earrings, I painted them with gold acrylic, added pieces of Dazzle Stickers, and then sealed with Diamond Glaze! 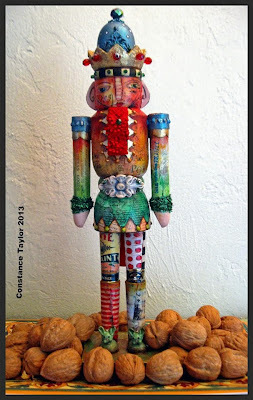 Last week artist Constance Taylor inspired us with her awesome Nutcracker, inspiring the new Masonite Nutcracker Dolls! Well this week, she had a chance to play with one of the new kits! 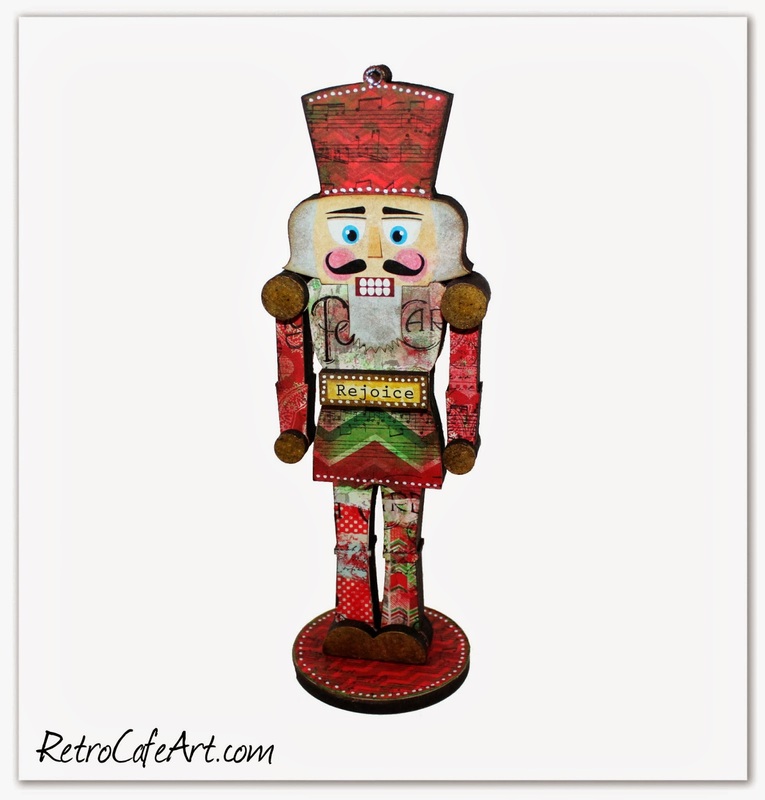 Isn't he wonderful?Nutcrackers aren't just for Christmas anymore folks! 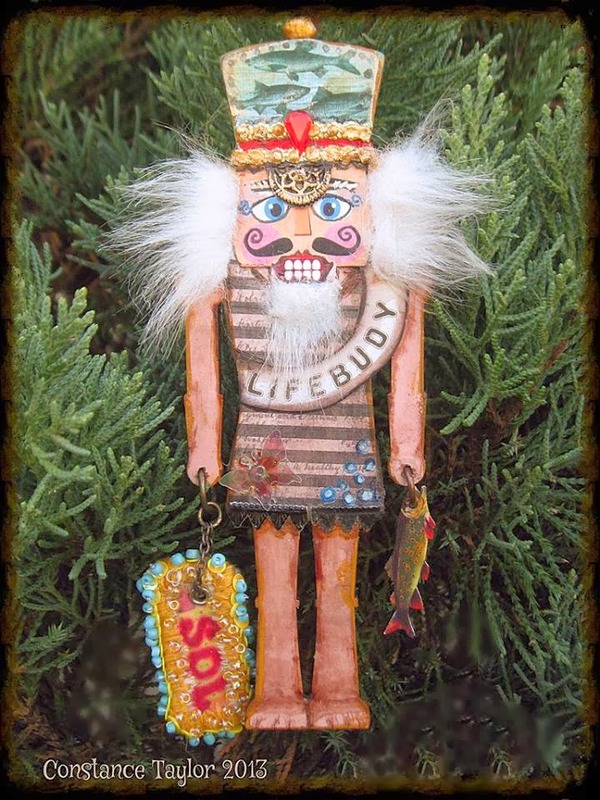 To see more of Constance's work, you can visit her Etsy Shop! And check back often to see when new work is added. Thanks for the inspiration and for sharing your talent Constance! 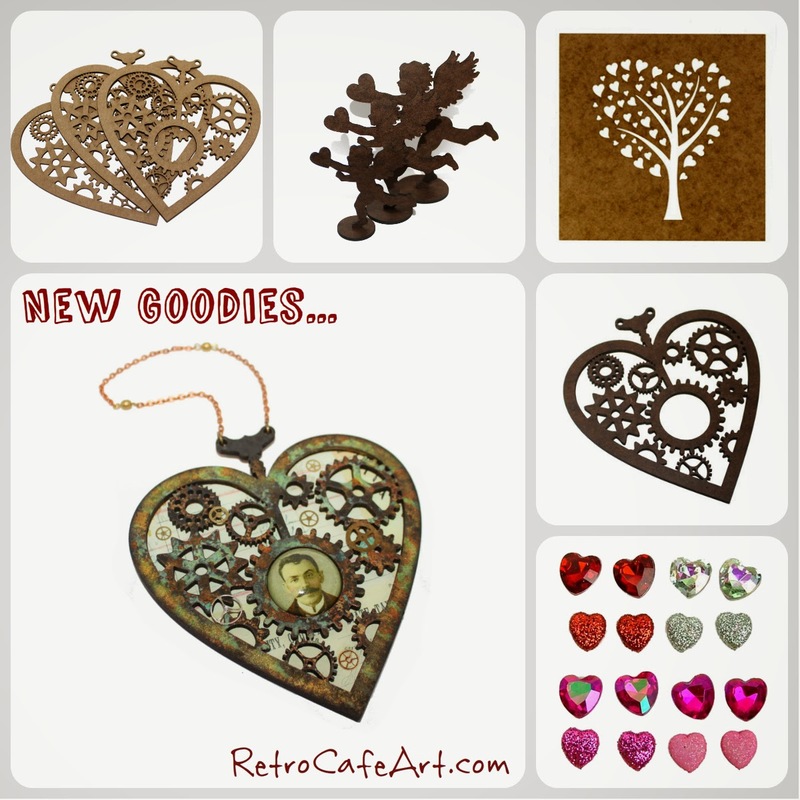 Find all of the Coffee Break Design Valentine Goodies HERE. Find the General Valentine's Day Section HERE. Nutcracker Art Dolls, Gelatos, and More! Happy Weekend Everyone! 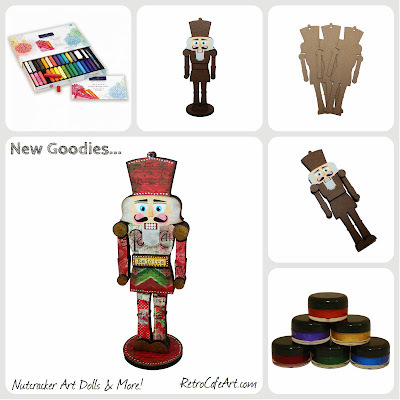 We have some wonderful new goodies in the shop including Nutcracker Art Dolls in three sizes, Gelatos, Twinkling H2Os, and more! I'm especially excited about the Nutcracker Dolls, inspired by my talented Friend Constance Taylor! Read more below. 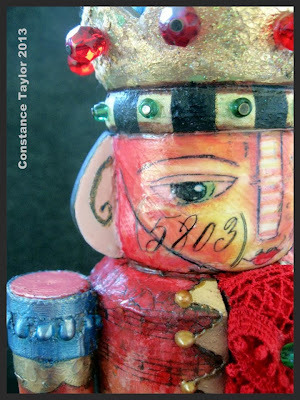 Inspiration by Constance Taylor! Earlier this week, I caught sight of this stunning Nutcracker piece created by artist Constance Taylor! Constance is extremely talented as you can see from this gorgeous "Nutter" as she calls him (which I love and plan to use!). 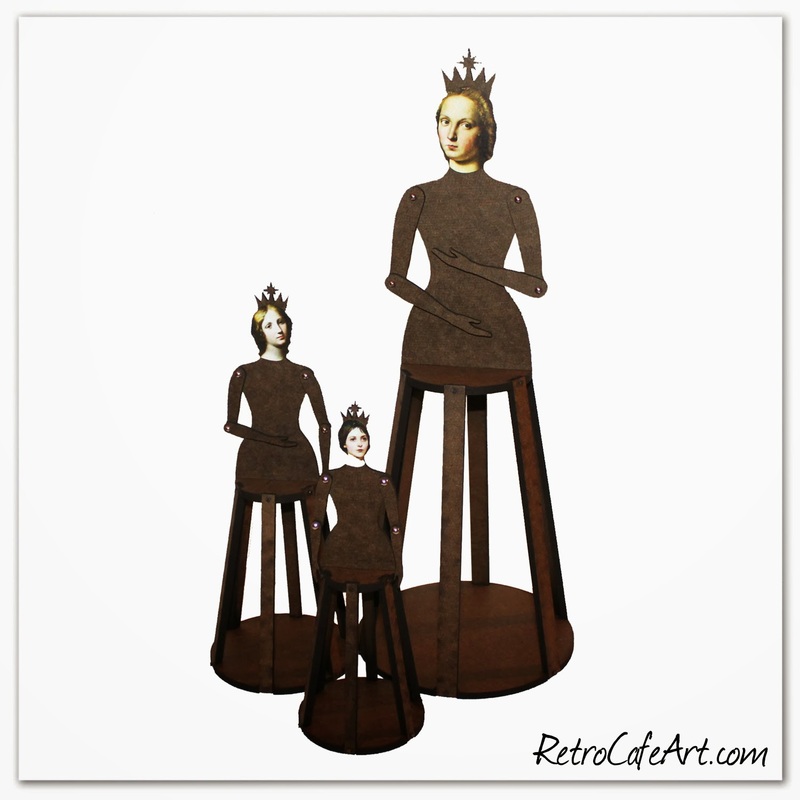 Seeing her piece got me thinking of a masonite version so I immediately went to work and created the new Nutcracker Doll Kits you can find in the shop! To see more of Constance's work, you can visit her Etsy Shop! And check back often to see when new work is added. Thanks for the inspiration and for sharing your talent Constance! I really loved playing with Gelatos for the first time! Truth be told, I decided to stock them so I could treat myself to a set as an early Christmas Gift :). It was like playing with adult crayons only better! They glide on creamy direct from the container so there is zero mess. I found that I loved blending them with my finger and of course played with the included water brush too! On my Nutter above, I simply used patterned paper, Gelatos, and some stamping, and I loved the effect. I'm definitely hooked. 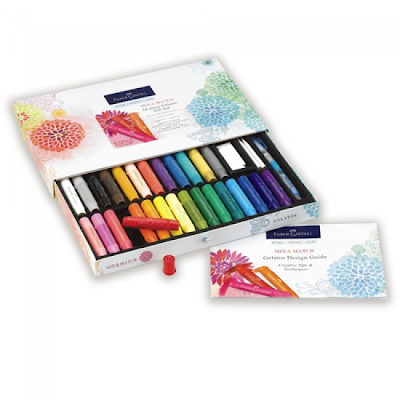 I also found that they worked great with our Twinkling H2Os as well, since both are water based and a type of watercolor paints. And just look at all those colors! I highly recommend these. 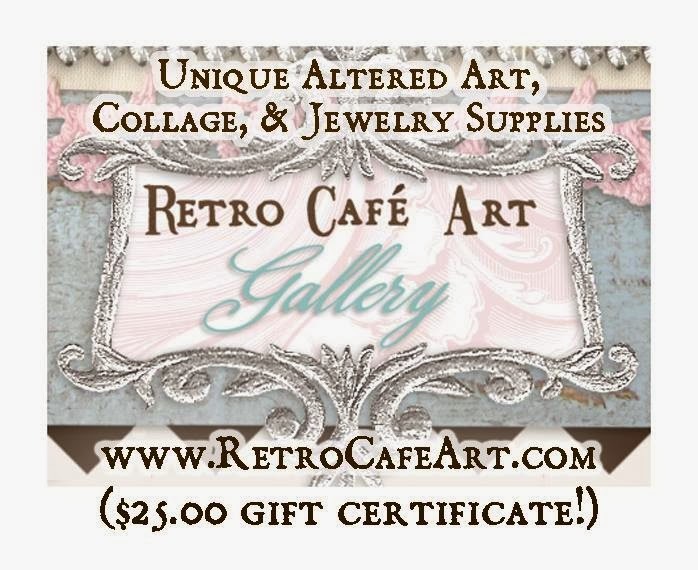 Great for collage, mixed media, journaling, and so much more. 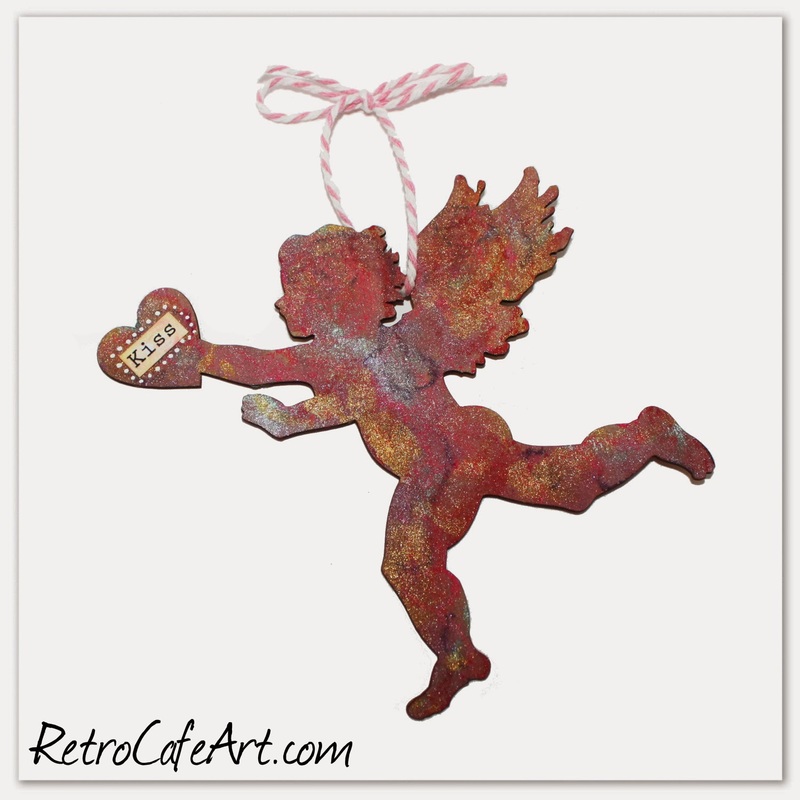 They are excellent with stencils too! 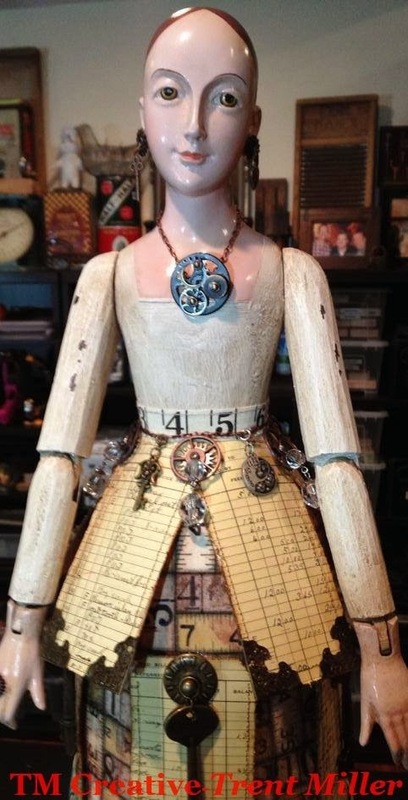 Inspiration by Linda O'Conner I just had to share this stunning piece by artist Linda O'Conner using our Large Dress Form Art Doll Kit! If I had more time, I definitely would have loved to try this crackle on my Nutcracker Doll Face. She used Crackle Accents over our Fairy Doll Head Paper Cut. You can see her full, stunning piece below! Gorgeous Linda! 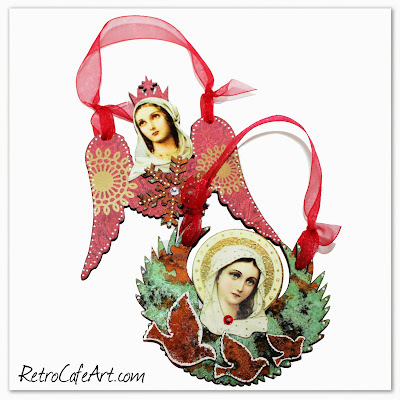 If you played in our Angel Ornament Swap your returns are on the way to you. A HUGE thanks to all of the contributing artists. All of the angels were AMAZING. You can see them all here on our Facebook Page!